From: Oskaloosa, Iowa, United States. Arthur Russell is fairly singular in how hideous his being overlooked feels in a modern day and unfortunately posthumous context. It’s the kind of quality that is usually ascribed to outsider artists surfing the edges of the avant-garde spectrum – people like Moondog, for instance, or Tiny Tim. Moondog and Tiny Tim, though, released hundreds of albums in their combined lifetimes and were, in their own way, very hot property in their heyday, it’s just the constantly self-refracting, contradictory nature of taste throughout the decades following their deaths has deemed their music alternately unfashionable and ‘rediscovered’. Arthur Russell, though, had none of the noveltyish quirks out of the outsider, he was an intently serious and supremely gifted musician, and it seems absurd that his only properly-released output during his 41 years on this mortal coil was limited to an academic disco experiment with the band Dinosaur L, a couple of very good (if mostly unrepresentative, considering his later work) instrumental efforts, a few 12” singles and a classic album, World Of Echo, that wouldn’t receive proper recognition until a reissue almost 20 years after its initial release. 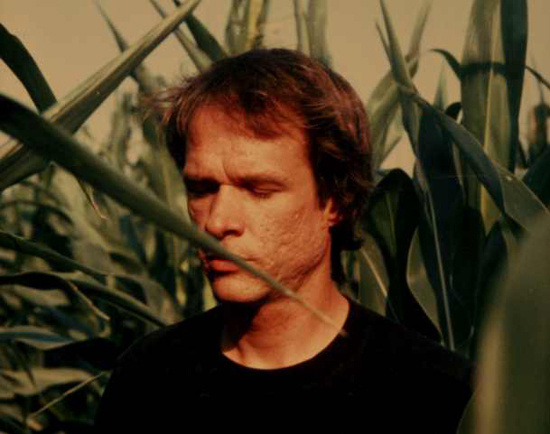 Just the simple fact that the world never got how amazing Arthur Russell was until the release of five compilations unearthing unheard compositions some 12 years after his AIDS-related death, really makes me want to believe in some sort of afterlife, just as some sort of karmic justice. So what does Arthur Russell sound like? ‘Everything and nothing’ seems like too much of a Morleyish infuriation, but its not inappropriate. World Of Echo isn’t represented here. A beautiful mindgame with echo, made out of cello and voice that sounds like something evaporated out of the sea it is too difficult to carve up for this track selection. Instead we’re easing you in via the Calling Out Of Context compilation, mostly made up of tracks from the unreleased Corn project – an album Arthur submitted to the Sleeping Bag Records label in 1985. Despite being the co-founder of the label, Arthur’s gorgeous pop experiment with hip-hop rhythm was rejected by Sleeping Bag entrepreneur Will Socolov, prompting a low-key retreat into voice-cello-and-effects live performances, collaborations with choereographers, and odd appearances on avant-garde projects such as Elodie Lauten’s opera, The Death Of Don Juan. Arthur’s first recorded musical fascinations were his toyings with disco. His group Dinosaur (later Dinosar L) seemed to treat disco like some weird, foreign object that they’d found in the sand. They loved its shape and contours, but played it as if was something they’d found in deconstructed parts, and had tried to reassemble without knowing exactly what the end product was meant to look like. The Loose Joints, Felix, Indian Ocean and Lola projects would also reiterate Russell’s fascination with how to move the body and what that does to the mind. ‘In The Light Of The Miracle’ though…there isn’t really adequate way of explaining it except that it might be what disco thinks about in heaven, and that it’s exceptionally, transhumanly beautiful. Although Russell’s work often has prefixes like ‘avant’ and ‘post’ attached to it, it’s really just meaningless shorthand. There isn’t ever anything insincere or loveless or inaccessible about his music, even when – as with some of his disco projects, and his recently-released country work (Love Is Overtaking Me) – you kind of feel that he was working his way through genres as a way of trying to understand them, getting inside. Rootless, futuristic, you can’t really call songs like ‘Get Around To It’ anything other than just pop music. Russell classics like ‘Go Bang’, ‘Is It All Over My Face?’, and ‘Treehouse/Schoolbell’ were subject to endless re-edits, remixes and reinterpretations – in a sense none of his music was ever ‘finished’, one musical idea could always fractal into infinite shapes in other versions – but ‘Lets Go Swimming’ and ‘Wax The Van’ are his two most self-repeating tropes. The latter is a bounding, playful creation for James Brown’s sidekick Lola Blank, of which you could happily listen to an entire album of re-versions, and the abstract, ever-shifting ‘Let’s Go Swimming’ could be the closest Russell had to a ‘signature tune’. I just love his voice. The sound of the feeling of spray from the ocean, blue skies and boundless horizons. Once you’ve heard it, a part of your soul will be forever occupied by that sound. Unless, you know, you don’t have a soul.